Registration begins at 12:00 Noon. The class begins at 1:00. Breaks throughout the day will be provided for the for the course participants. 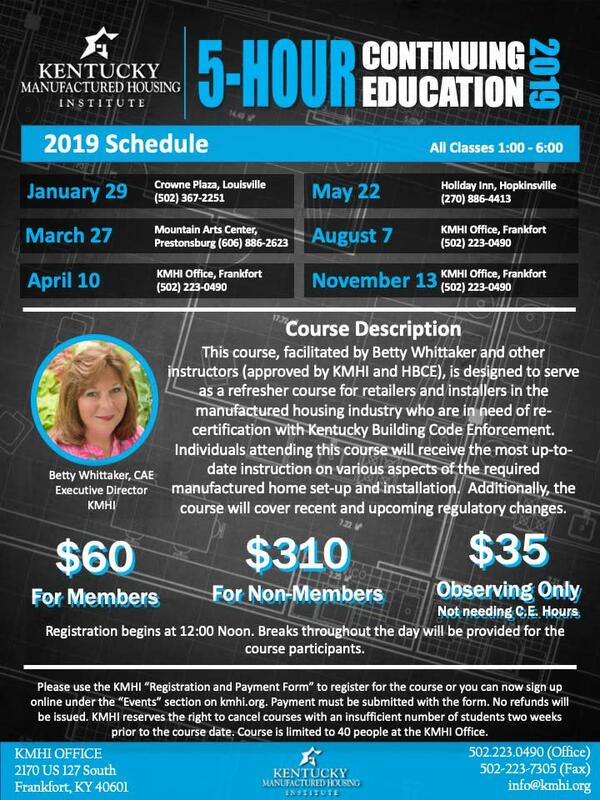 This course, facilitated by Betty Whittaker and other instructors (approved by KMHI and HBCE), is designed to serve as a refresher course for retailers and installers in the manufactured housing industry who are in need of recertification with Kentucky Building Code Enforcement. 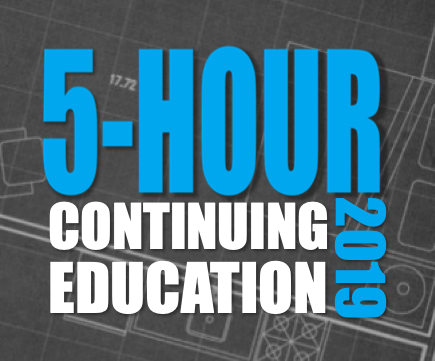 Individuals attending this course will receive the most up-to-date instruction on various aspects of the required manufactured home set-up and installation. Additionally, the course will cover recent and upcoming regulatory changes.